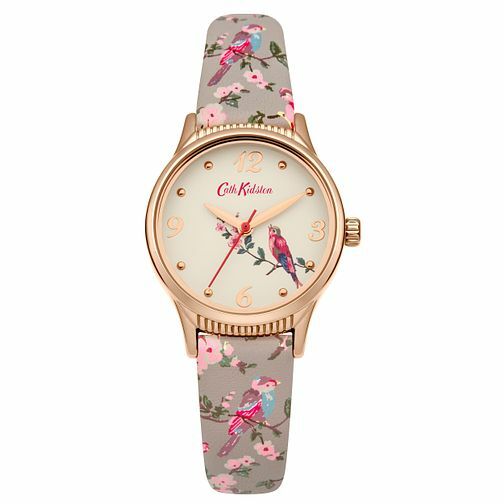 This Cath Kidston ladies' watch features a vintage-inspired 29mm rose gold round case with a British birds ivory placement printed dial and a matching British birds grey strap. 3 ATM. 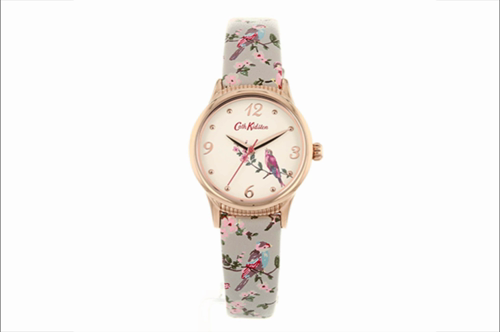 24 months international warranty.